We are now in the season when the year’s first tea crops come in! With Japan being a narrow island running from north to south, the tea crops become ready for harvesting starting with the warmer regions of Kyushu in the south and gradually working up the country. The highest grade leaves of the new crops are known as “shincha o-hashiri” and only leaves picked in the first two weeks at the very start of the season are worthy of this classification. This makes the tea made from these leaves a seasonal exclusive and limits the amounts that can be produced. The new buds gather their strength while slumbering through the winter months and contain the same concentration of amino acids and polyphenols as the very highest “gyokuro” class of teas. However, with the spread of cheaper, mass-produced teas in recent years, fewer plantations are producing o-hashiri. 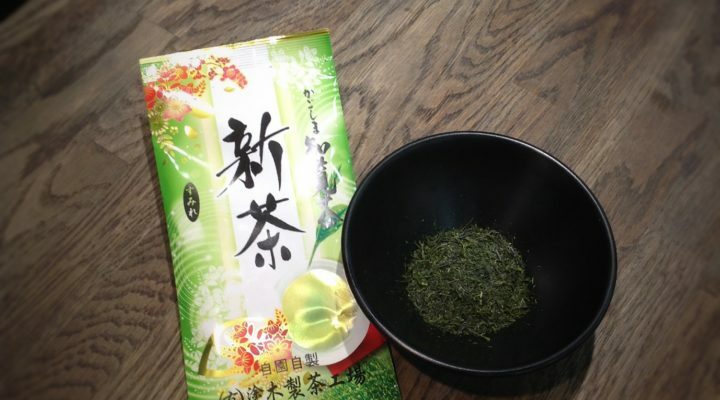 The Shincha o-hashiri introduced this month is one of the finest products of an organic eco-farm Kagoshima prefecture. Enjoy its unique freshness and deep flavour!